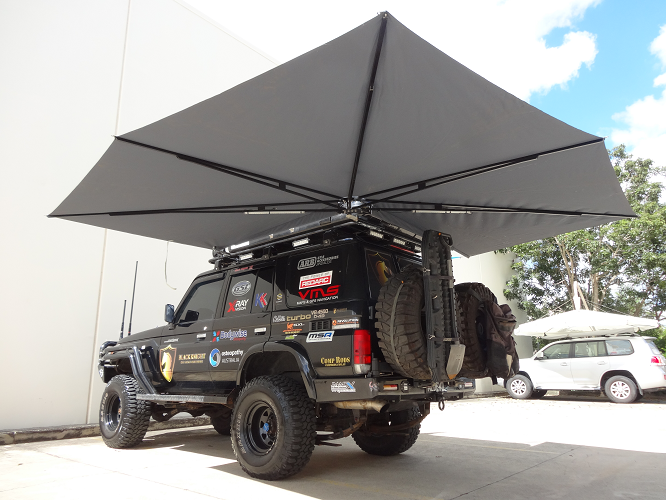 Our most popular 4×4 vehicle shade awning model by far! The 270° 4m x 4m model gives you maximum shade coverage with minimal fuss. Crafted from structural aluminium it delivers strength and stability but maintains a lightweight usability that can’t be found anywhere else. When closed, the awning is only 2.5m long. Talk about clever. When we say lightweight, we really mean it! In contrast to other similar products which can weigh upwards of 25kg, our largest CleverShade model weighs in at a tiny 16kg. 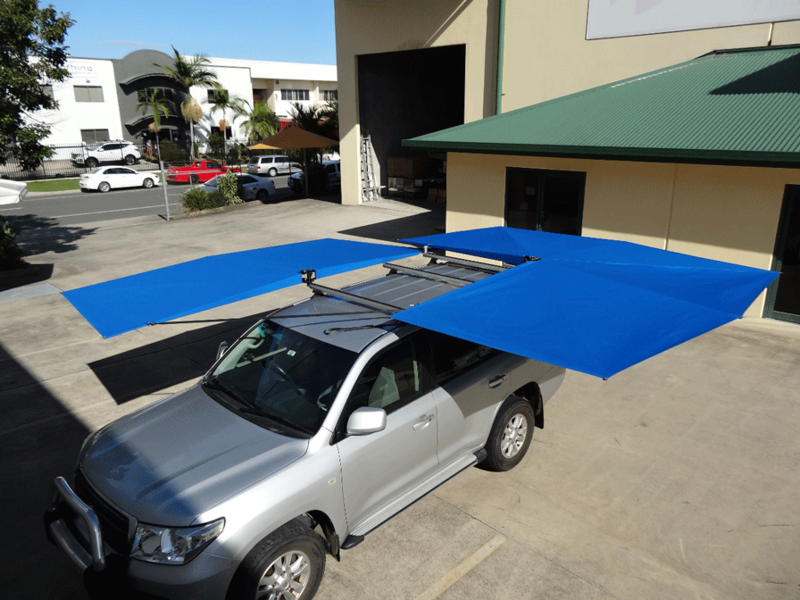 It’s something most people don’t concentrate too much on but a heavy 4×4 awning can cause some serious damage to your vehicle. We’ve thought of it so you don’t have to have any additional stress. Just set it up and relax in the shade, worry free! All our CleverShade models come standard with black powder coated frames and a grey canopy. If you want a CleverShade that will stand out from the crowd we can certainly offer other colours but they will incur a 10% surcharge. The fabric we use is specifically designed to be used in lightweight applications. It is a 100% acrylic canvas product that is UV resistant, water proof and mildew resistant. 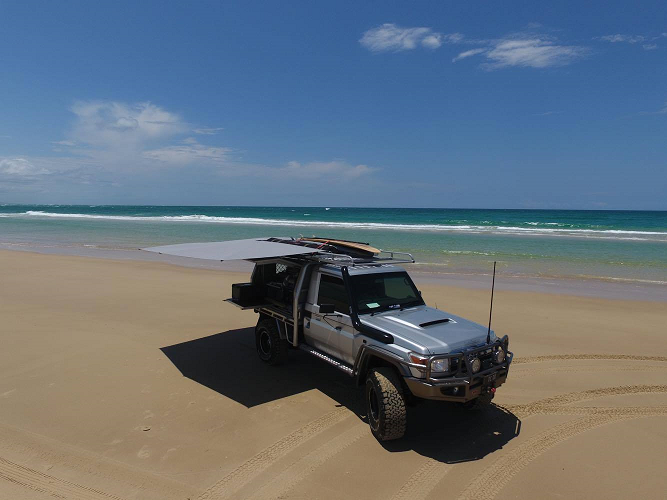 Perfect for Australian conditions. Don’t take the risk of being caught in the rain or getting sunburnt any longer. The CleverShade is so light and easy to use that you don’t have any excuse for getting wet or burnt again. 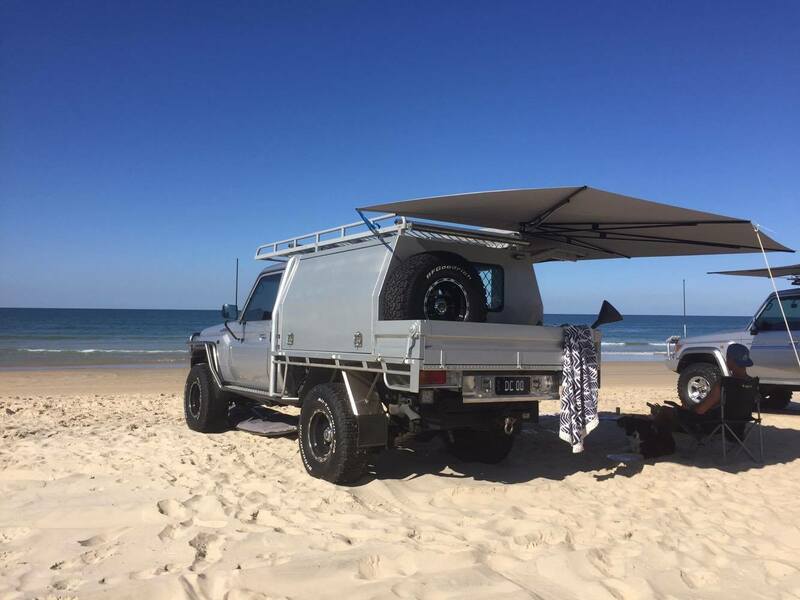 It’s perfect for camping, as a 4×4 awning to be used on the go, on caravans and even for mobile businesses. 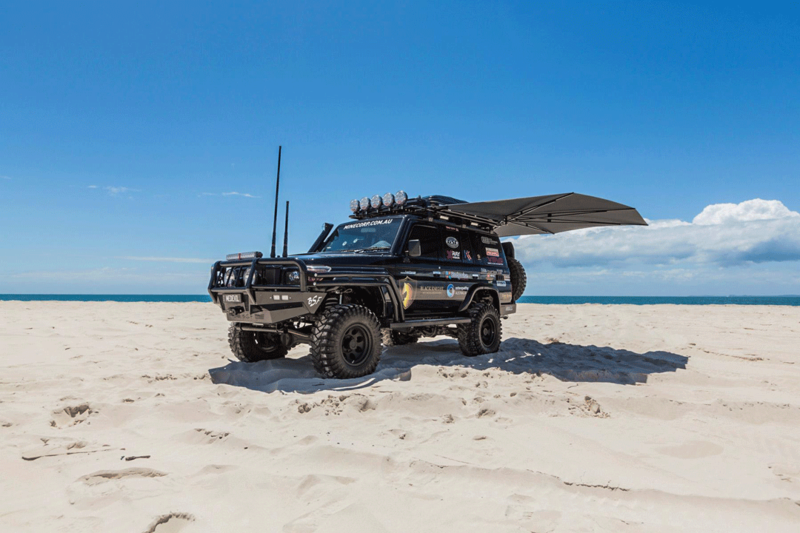 Whatever your situation, if you need mobile vehicle shade then the CleverShade is the perfect solution because after all, it’s the shade that moves with you. Discover just a few of the countless uses for a CleverShade here. If you think the CleverShade 270° 4m x 4m is perfect for your needs simply fill in the form below (you can even upload a photo of your car for advice on fitting) and we will get back to you ASAP.